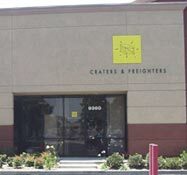 If you are looking for information on the Craters and Freighters franchise business opportunity, Craters and Freighters franchises or Craters and Freighters franchising, then you have come to the right place. What is "Specialty Freight Handling?" 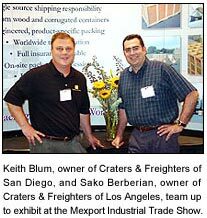 In 1990, Craters & Freighters created an industry by offering custom crating and shipping solutions for businesses and consumers with shipments too big, fragile, valuable or uniquely-shaped for traditional shippers. Now, with the only national network of "Specialty Freight Handlers," Craters & Freighters dominates the industry. 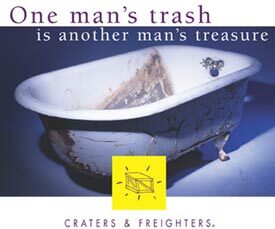 The Craters & Freighters marketing plan targets the art and antique industries and retail packaging and shipping stores initially, along with commercial applications such as manufacturers, medical equipment and instrumentation, high tech equipment, defense contracts and asset relocations. Our crate engineering capabilities give us the unique ability to provide product-specific packing solutions not readily available to many shippers. Our loyalty to individual freight carriers enables us to negotiate substantial discounts. Our ability to engineer packaging solutions for nearly any product gives us access to business sectors others can't approach. Our cargo insurance policy allows you to offer coverage on even the most valuable freight. We created e-Quote, a real-time, on-line quoting engine in response to the specific needs of the e-commerce and auction communities. CratersandFreighters.com is the only site that allows users to get immediate, full service shipping estimates for one item or many at any time. Your franchise fee includes training, opening and ongoing assistance, and enrollment in our carrier discount and cargo insurance programs. Royalties are 5% of gross revenues and a National Ad Fund contribution of 1%. You will need three people (either partners or employees) to initialize operations and be prepared to add another person between the third and fifth month of operations. Space requirements are 3000 to 3500 square feet of office/warehouse space with overhead dock doors and convenient access to the central business district. One Craters & Freighters franchise per metropolitan area with the exception of the six largest US markets which can support multiple centers. Now expanding into Canada. Prior business ownership and/or industry experience is helpful, but not required. We will train you on all aspects of our business when you attend the two week training course in Denver. You must have computer skills for Windows operating system and access to high speed Internet. Familiarity with QuickBooks and Outlook/Outlook Express is beneficial.